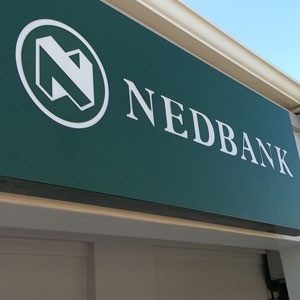 Software robots might see Nedbank possibly do away with 3 000 employees, which would happen through natural attrition and would be offset through the bank’s expected growth rather than through retrenchments, Nedbank chief information officer Fred Swanepoel said on Friday. “When we look at the expected implementations and the natural attrition we are going to suffer, we think that there is more than adequate room for us not to have any mass retrenchments on account of robotics. We are looking to have some of that displacement offset in the growth we will receive,” he said. Nedbank has installed 59 software robots and plans to have 200 in place by the end of the year. “We have a chat bot in Nedbank Wealth. It navigates through an app or the web via voice or text. We also have a robo adviser in the asset management division. We have robots that help us avoid duplicate payments from a procurement perspective. Swanepoel said that Nedbank was spending about R2 billion on technology investments. Nedbank on Friday showcased its first humanoid robot, which it calls Pepper. Fabio Minone, Nedbank’s integrated channel officer, said that this humanoid robot cost between R400 000 and R500 000. “We are going to take it around to all our branches. We have already exposed her [the humanoid robot] to the Gautrain branch [in Sandton]. It is to excite staff and clients so they can get used to interaction with robots,” Minone said. Turning to moves to change the Constitution to allow for the expropriation of land without compensation, Nedbank CEO Mike Brown said: “We clearly understand the need for land reform. "The challenge is that no one knows how it will work ... We are unclear at this stage as to exactly what is meant by expropriation of land without compensation in a manner that doesn’t harm the economy of food security. That is open to such wide interpretation currently. Nedbank’s chief financial officer, Raisibe Morathi, said the bank currently didn’t see any risk from the move to change the Constitution to allow for expropriation of land without compensation. This week, a syndicate of seven local and international banks lent Eskom R20 billion, one of which was Nedbank, said Brown. Morathi declined to say how much Nedbank had contributed to the Eskom loan. In response to a question about how Nedbank is going to respond to the entrance of a number of new banking competitors into the local market, Ciko Thomas, Nedbank’s retail and business banking executive, said that the bank would be revamping its loyalty and rewards programme. Nedbank is using KPMG as its auditors despite the investigations that are being conducted into the affairs of KPMG by the Independent Regulatory Board for Auditors and the Ntsebeza Inquiry set up by the SA Institute of Chartered Accountants (Saica). Morathi said Nedbank was waiting for the results of the Independent Regulatory Board for Auditors and Saica probes. “It is something we have considered and is on our radar. For the 2018 period, we will continue with KPMG,” she added.